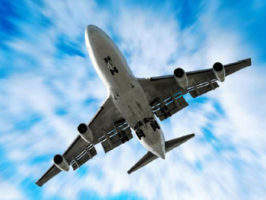 ICTS Europe Systems is a leading provider of security systems to the aviation industry. We never stop looking for the next leap ahead in technology, infrastructure, integration and customer service. It is our mission to collectively deliver better solutions with greater benefits for our clients. We offer a unique combination of operational expertise and pioneering technological solutions in the areas of aviation security and immigration, training and assessment and general security management. Our products are designed to meet the specific needs of your organisation, of your staff and business processes. We support more than 60,000 flights a year and more than one million passengers’ transactions per week with our technologies. With a portfolio of over 35 airline clients, dozens of airport customers and more than 25 years’ experience, you can be certain that we will strive to excel every step of the way, delivering you the highest level of service. Our APIS solutions are compliant with all APIS schemes worldwide using different modes of operations. They are simple to manage, quick to deploy and have been proven over the course of the last five years, serving over 40 carriers, covering numerous routings and dealing with tens of millions of passenger transactions every year. ICTS TravelDoc is an international document validation and verification system. 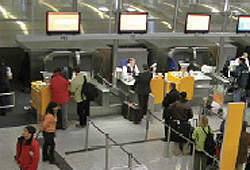 It checks documentation against any travel rules applied by the authorities in transit and destination countries and quickly delivers a clear ‘go’ or ‘no-go’ decision. ICTS’ watchlist search and match system is a cost-effective solution for matching passengers against any given watchlist. Our service is compliant with both the TSA’s no-fly/selectee lists screening requirements, Transport Canada’s Specified Persons List, and any airline-specific watchlist or VIP list. Our Watchlist engine is updated immediately whenever any of the lists change, to ensure that your passengers are always screened against the most recent Watchlist. Over 40 airlines are already using our WatchList service. ICTS Eagle is an innovative computer-based training platform that offers a unique combination of aviation security expertise, extensive training experience, the latest in CBT methodologies and state-of-the-art technology. Each course provides a unique combination of interactive and rich media technologies based upon teaching strategies developed from extensive training experience and aviation security expertise. ICTS MCAST is a recruitment tool that allows you to identify ideal candidates early on in the recruitment process. With just a standard PC and printer, MCAST can bring cost savings for the business, as well as an improvement in staff retention levels. MCAST, developed in line with psychometric testing, has a unique computerised system that enables in-house operation and result analysis without direct professional assistance. In an effort to counter piracy, ICTS Europe Systems has joined with the Liberian International Ship and Corporate Registry (LISCR) to produce best management practices (BMP), an innovative course designed to avoid, deter or delay acts of piracy. Using state-of-the-art computer based tools, BMP offers a concise, multimedia-rich, interactive self-learning course. ICTS SMU is a comprehensive security management suite that allows you to record, monitor, report and analyse a site’s security activities and incidents. It is designed to meet the needs of a field officer and includes a fully integrated patrol monitoring system. ICTS Dispatch co-ordinates the assignment of airport services to aircraft through integration with an airline or airport database to provide live landing and departure details. Dispatch provides notifications of when to send services such as guards, search and cleaning teams to ensure actions are taken on time based on current information. It then records and notifies of any changes to the flight details. QuickTurn is an innovative solution designed to provide airline management with real-time information on the performance of their suppliers, ensuring that the agreed level of service is maintained. As part of the ICTS Europe Group, we work closely with the people in the field to ensure that each product is carefully tested and quality assured before it is launched.